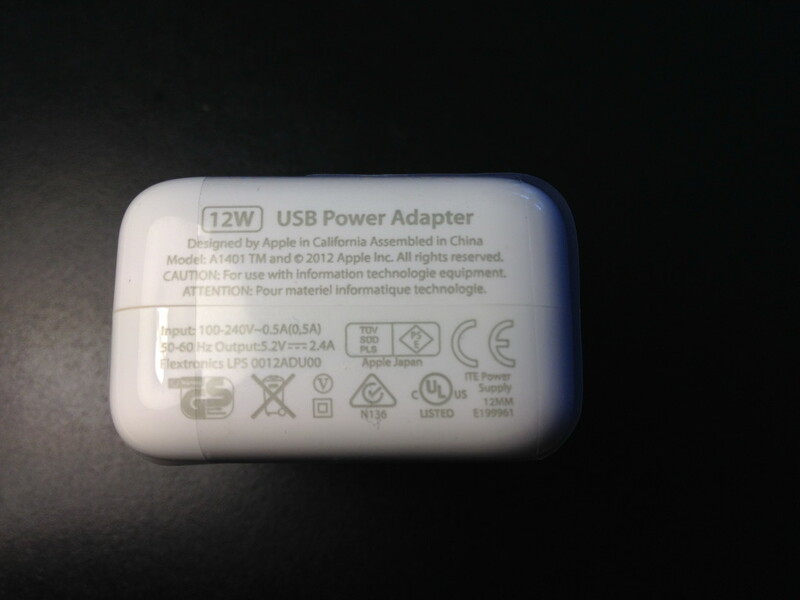 I recently bought a 12W charger for my iPad mini which was said to be an “Original Apple” product. 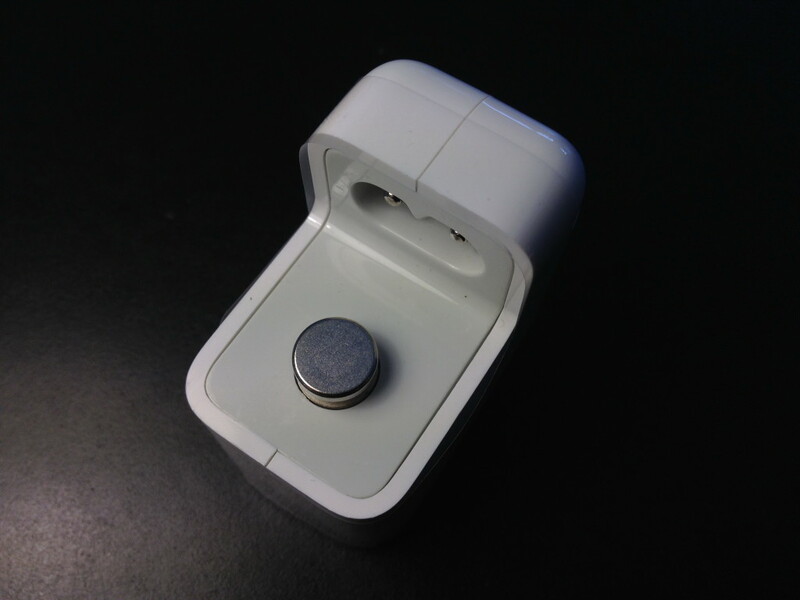 Being the nerd I am, I had to take a closer look on this item upon arrival and quickly realized that it is well made, but unfortunately FAKE charger. Well made, as it comes with a nice print and metal connector. The font is a bit too bold. Apple nerds will notice the even spacing between “Designed by Apple in California” and “Assembled in China” as well as between “A1401” and “TM and ©” and “2012 Apple Inc.”. The (measured) output is just 5V/0.8A. The plastics have a very similar glossiness to the original, but you will still note some bad quality issues here and there. 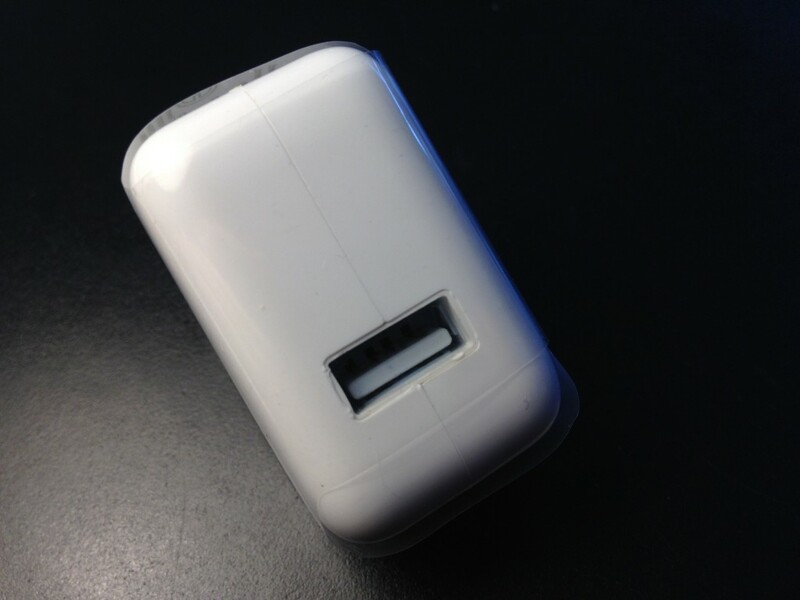 Like the cover on the USB port as pictured below or the uneven gaps between the two plastic covers. There is a serial number inside the USB port, but the port itself is of low quality (the plastic tongue inside is poorly shaped). As someone who used to sell polyethylene (PE) and polypropylene (PP) for a French mineral oil company some years ago, the plastics often are the biggest hints why something is of lower quality and probably fake. For a device that can not be opened and thus requires the user’s trust (that the inside PCB / circuit is of higher quality), the external appearance often is the only criterion we can rely on. And as someone on Instagram also noted: the only method of buying chargers these days is going for 2nd hand gear that is proven to be original. THIS very auction, however, was one of those “let me buy a used item via eBay to make sure it’s original”-approaches, but which also failed.